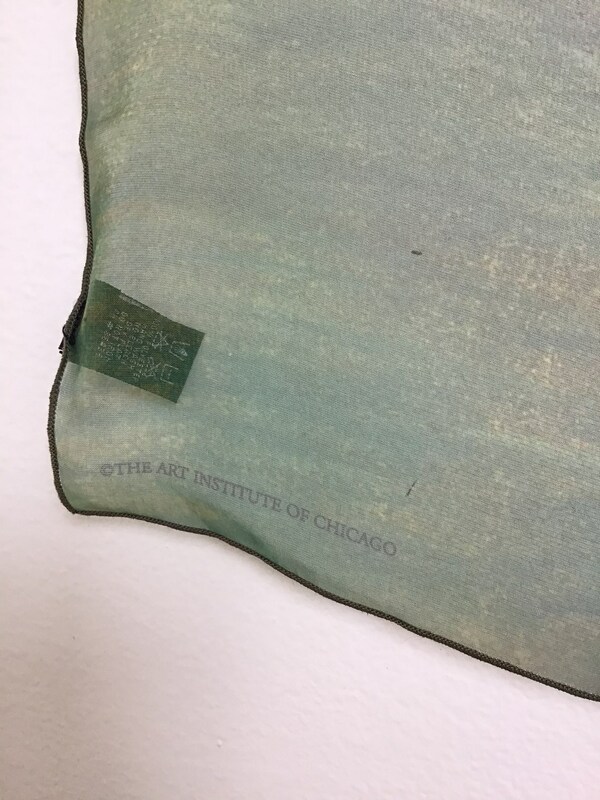 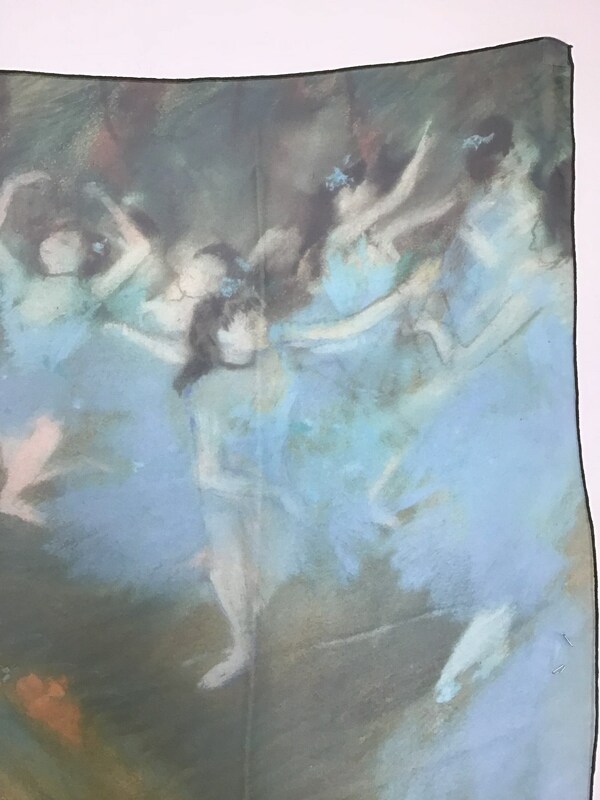 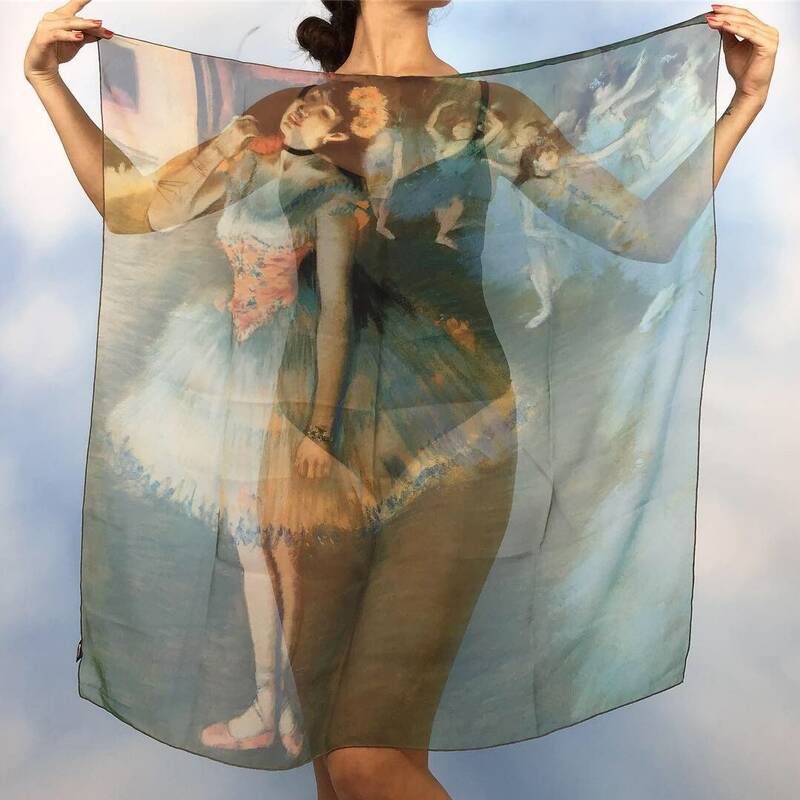 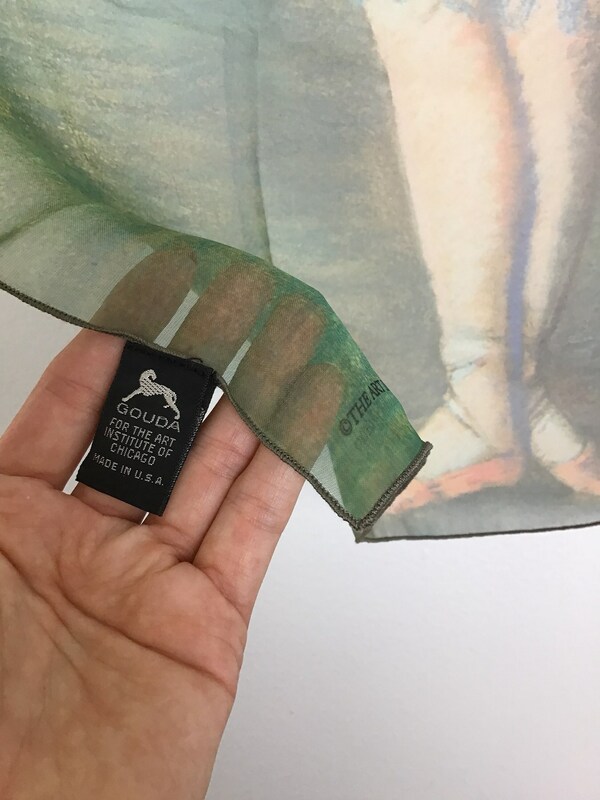 Lovely sheer scarf featuring Degas dancers. 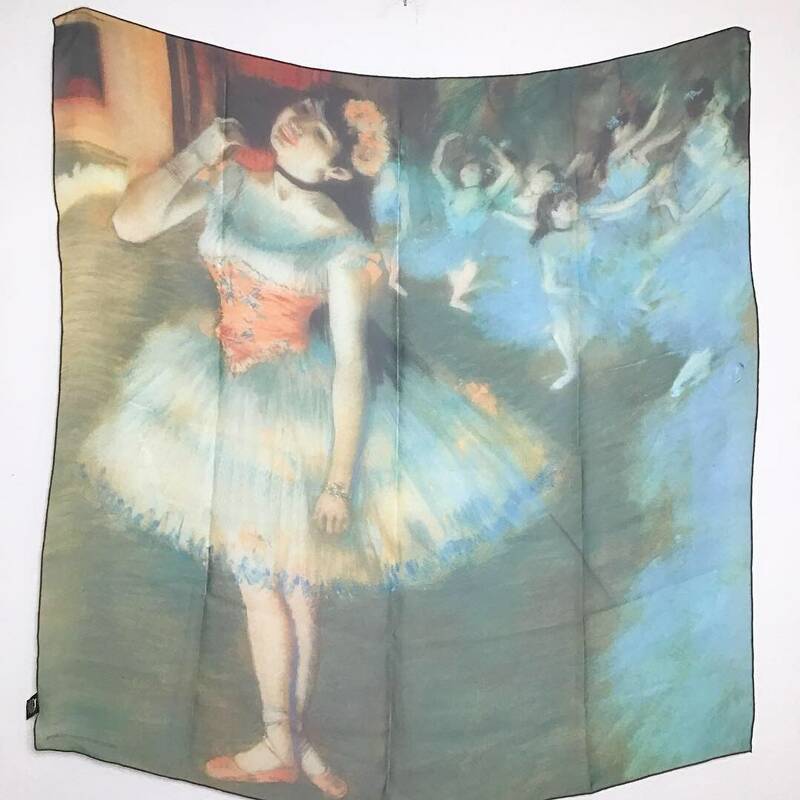 Measures 35" x 35". 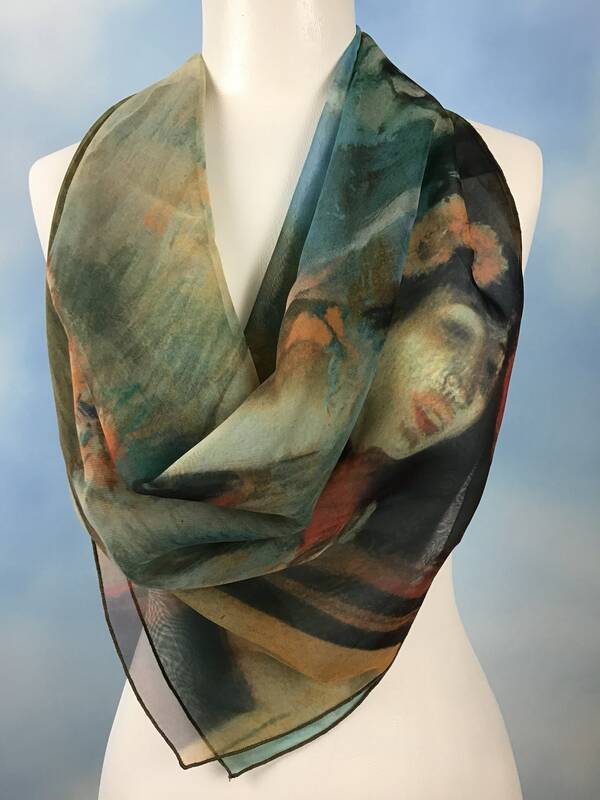 Made out of a silky polyester. 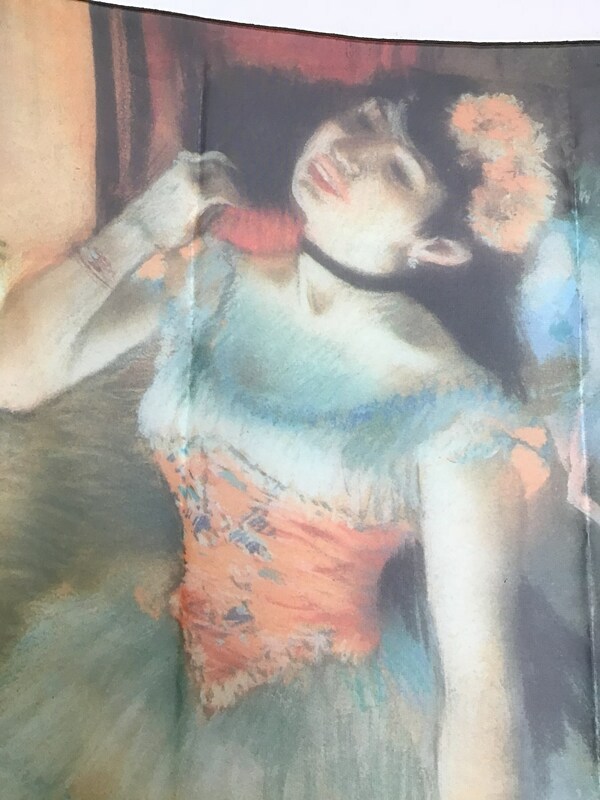 In excellent condition with no flaws to note.